Training programs were established for the first time in Texas and Southern California this past March with continued programs in July. These programs foster industry collaboration among manufacturers, contractors and professional installers. Participating in the events are representatives from every facet of the floorcovering industry: INSTALL staff and instructors, contractors, installers, as well as representatives from mills and manufacturers. Master Craft Floors recently became a signatory partner in INSTALL expansion efforts in the southwest. The company will serve as a key extension of the INSTALL program by helping to establish training in the southwest which will develop skilled and certified labor pools in those areas. Master Craft is a full-service commercial contractor with offices based in Plymouth, MI and Las Vegas, NV. Through this partnership, Master Craft has expanded its offices to Southern California with the aim of developing an untapped labor pool of professional installers. INSTALL’s quality of programming is such that the Department of Veteran Affairs adopted INSTALL certification standards into its Section 09 68 00 Carpeting, Section 09 65 19 Resilient Tile Flooring and Section 09 68 21 Athletic Carpeting. This specification language underscores the Department of Veteran Affair’s determination that only a flooring contractor who employs an INSTALL certified workforce is qualified enough to perform work for the VA, the single largest government employer in the United States, making it even more important to have INSTALL certified installers across all parts of country. At the 50+ INSTALL training centers in the United States and Canada, certified instructors train incoming apprentices during a four year program that is unmatched in the industry in terms of length and level of curriculum. 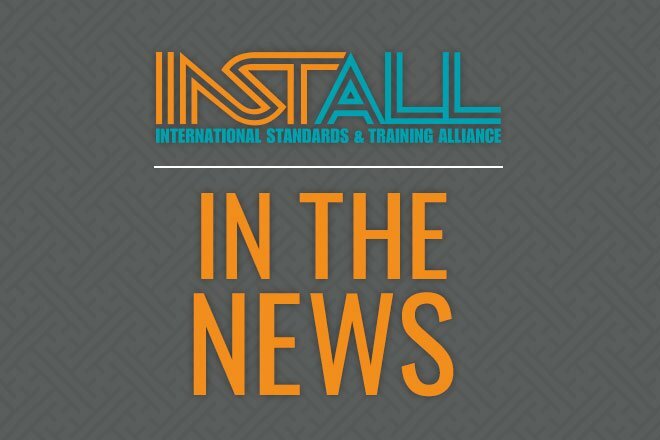 With the expansion of training and certification programs in the southern and western regions of the United States, INSTALL certified contractors are positioned to become the floor covering industry’s preferred and most reliable installers.